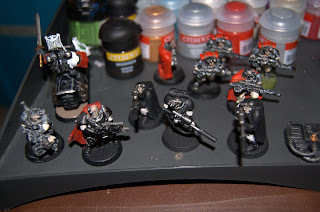 I wanted to take a break from working on all these bikes, so I moved over to the Scouts and Sergeant Telion. 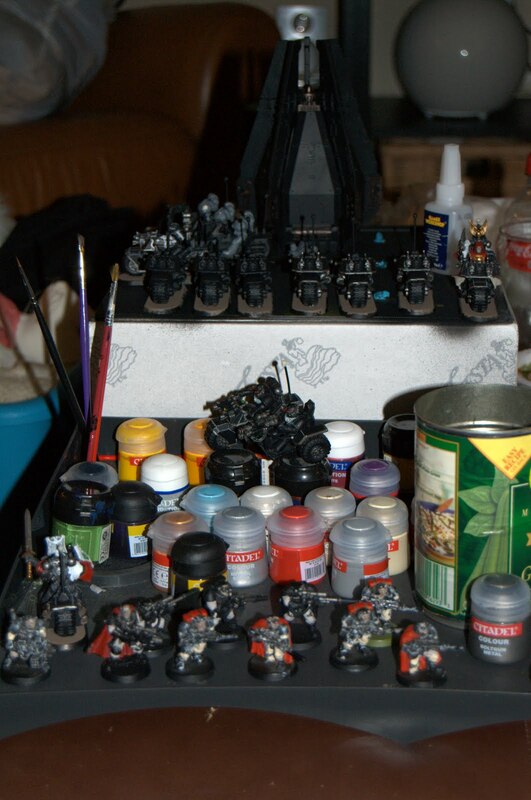 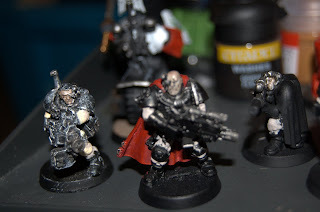 Most of this squad is in much need of re-painting as the majority of them were painted over a decade ago when my skills were seriously lacking (not that they aren't now). 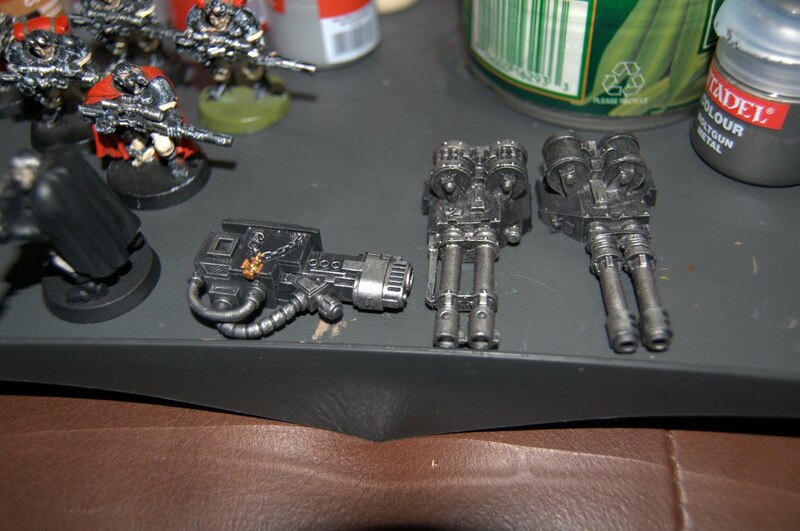 I'm adding in a few of the new plastic snipers to add some variety to the old metal ones that only came in two poses. 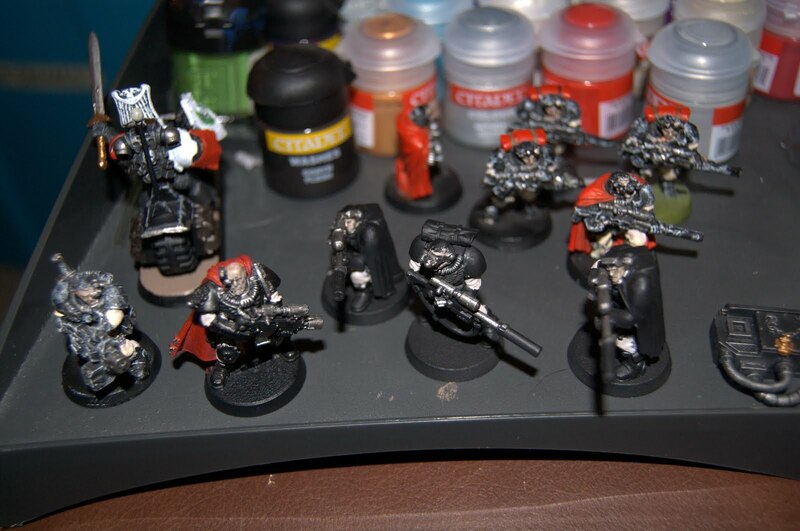 Originally, the snipers were painted in a traditional camo color scheme, but I rather like the bold blood red cloaks. By this point you know I'm not taking an all bikes list. 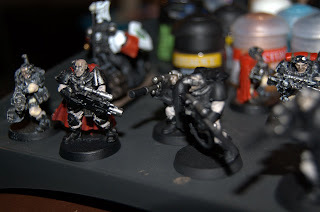 In addition to dreadnoughts I'll also be fielding a full sized sniper squad lead by Telion. 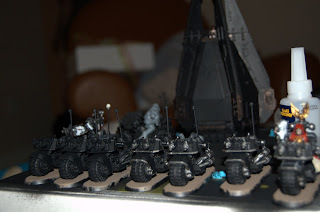 These guys will likely camp an objective which will hopefully reside in some cover that can be buffed not only by their camo cloaks but also bolstered by the Master of the Forge (read: potential 2+ cover save). Even though marine scouts took a hit to their stat line in 5th, the sniper rifle received a boost; a roll to wound of 6 counts as rending AP 2. Nice! Add in Telion's ability to allocate wounds from his gun and a heavy bolter scout with 2+ poison blast and you've got a great fire support squad.